Garlic Keeper is a beautiful terra cotta storage vessel for your heads of garlic. This creates a dark, cool place, with good air circulation, to store your garlic. 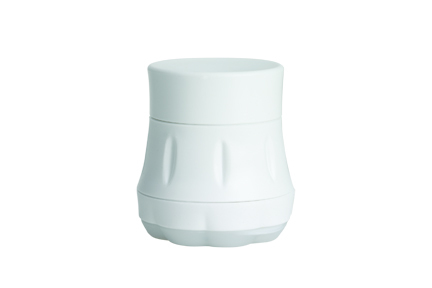 This white ceramic Garlic Keeper is a lovely storage vessel for your heads of garlic. This creates a dark, cool place, with good air circulation, to store your garlic. Our new garlic baker is the ultimate way to cook garlic. Simply soak the entire baker in water for 10 minutes. The cut the top of the head off and brush the cloves with olive oil and a bit of water. 45 minutes later it’s finished, with a fantastic aroma throughout the kitchen. This baker can roast 2-4 heads. Vermont Maple Fire Tonic is a certified organic herbal supplement created to combat illness. This very potent combination helps fight infection and is an antimicrobial, anti-fungal, anti-parasitic and antiviral. Pure maple syrup contains many medicinal as well as nutritional properties that promote healing and help to maintain wellness. Ingredients: Maple Syrup, apple cider vinegar, lemon juice, cayenne pepper fruit, garlic cloves, ginger root, horseradish root, onion bulb, parsley leaf, turmeric root, distilled spring water. Do a garlic Wheelie with this large GarlicZoom. Simply peel, fill, and roll. Stainless steel blades turn out perfectly chopped garlic from your peeled cloves. Your hands will thank you later. If you haven’t tasted Black Garlic yet, you’re in for a real treat! We’ve been making Black Garlic for ourselves for several years and are excited to now be able to share it with you! Black garlic is made by aging garlic, under specialized conditions of low heat and humidity, over the course of several weeks. This process turns the cloves black, soft and sweet, with an incredibly complex umami richness. The black color comes from the melanoidins, which are a product of the reaction between the sugar and the amino acids breaking down. The non-volatile ingredients of the raw garlic are preserved. There are no additives, preservatives or burning of any kind. Black garlic is a superfood very rich in antioxidants and Allicin, the compound that is responsible for all of garlic’s healing properties. 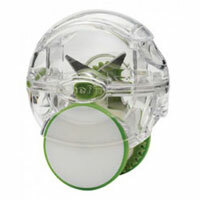 It is used in Korea, where it was first developed, as a health product. Here in the U.S. it’s very popular with chefs and home cooks. It can be eaten alone, spread on bread or a burger, used in soups, sauces and salad dressings or tossed in a veggie stir fry. Have fun trying it in your favorite meal. All of our black garlic is made with our farm grown, certified organic garlic. It’s sold in bags containing two to three bulbs. It’s shelf stable, however, we recommend storing it in the refrigerator, where it should keep for up to a year. ** Temporarily SOLD OUT – Order now and we will ship it when it becomes available. $11.00/bag – 3-4 bulbs, average weight 4.0 oz. Use this garlic press to swiftly to press the maximum amount of pulp and juice from cloves of garlic. 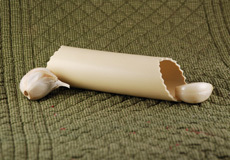 The E Z Roll is a simple patented tube of a special polyurethane material can hold 4-5 cloves of garlic inside. Roll it back and forth on the counter from fingertip to the heel of your hand and the cloves come out peeled. Did you know that thinly sliced garlic can give your cooking a milder, nuttier flavor? From now on slice your garlic not your fingers with the Garlic Slicer. Just place peeled garlic cloves in the Garlic Slicer, twist, and enjoy the international flavor of paper-thin shaved garlic.